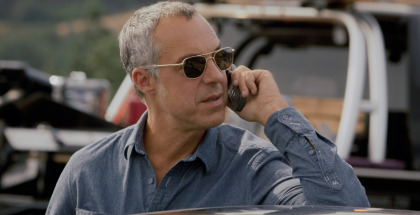 Bosch arrives on Amazon Prime Instant Video this week. 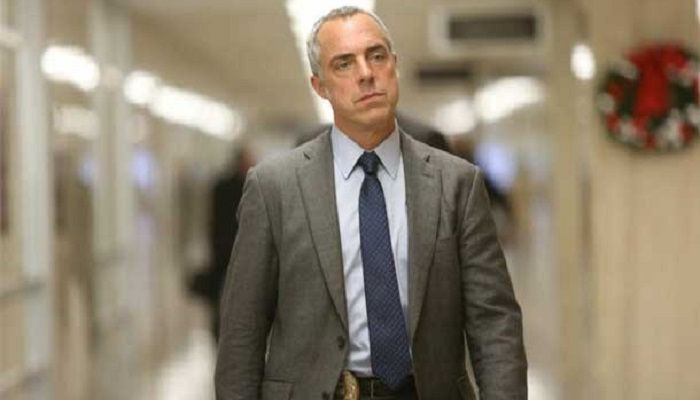 The 10-episode original series, based on Michael Connelly’s books, stars Titus Welliver as detective Harry Bosch and arrives hot on the heels of Amazon’s Golden Globe win for Transparent. Speaking at the UK premiere of the show, though, the author reveals that the show has been in development for a much longer time. “We were just waiting for Titus to reach the right age!” he jokes, before explaining how he sold the rights to Paramount years ago. Eventually, though, he got the rights back – and started thinking much smaller. The decision to make a TV series rather than film, he says, was a “no-brainer”. It was at the time that The Wire was ending and Breaking Bad was beginning. “Any writer that wanted to tell a story that went beyond procedure was looking to TV,” he explains. Connelly teamed up with Eric Overmyer (of The Wire and Treme) to adapt the books into a pilot, when Amazon turned up on his proverbial doorstep. This was, of course, long before Transparent arrived and Amazon won the first Best Series Golden Globe for an online show. Michael Connelly talks with confidence about his creation; a guy who knows he has sold 58 million books worldwide. He wasn’t even phased by Amazon’s unique pilot system, which gives the public a chance to help decide what gets commissioned and what doesn’t. It helps that he has been burned by working the other way. Would he rule out a second season? Not at all. In fact, he sounds highly optimistic. 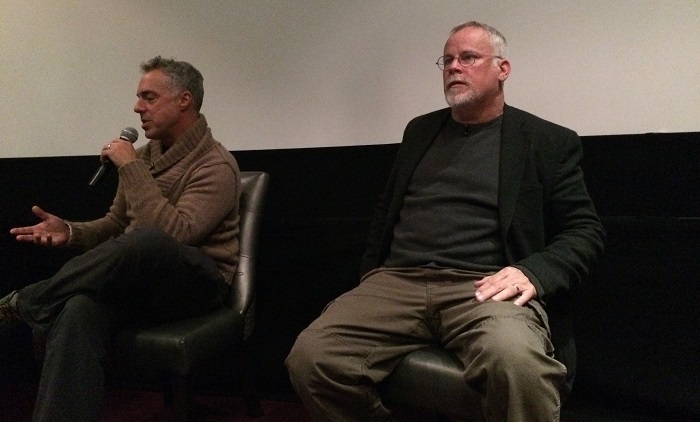 Titus Welliver, who is also at the premiere, says that he was equally impressed by what Connelly and the writing team – “They come from all over,” says Michael. “People from The Sopranos, The Wire, Mad Men…” – and wanted to do it straight away. It almost didn’t happen, though, he says, until they met and got under the skin of the character immediately. “There had been 3 months from the day when we said we wanted to talk to Titus. He came in and he did a scene with an actress from the pilot and, obviously, he nailed that,” chimes in Connelly. 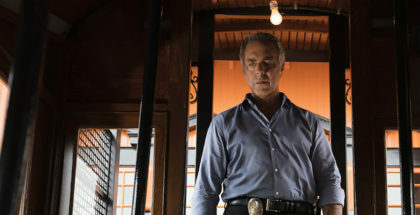 The main challenge for Bosch, though, is trying to externalise what’s going on its lead’s head: Harry’s not very vocal about his feelings or thoughts. It’s all done through narration on the page – but on the screen, it falls on Titus’ shoulders. 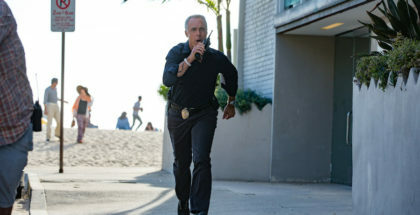 “He doesn’t say a lot,” agrees Connelly, but the pilot episode reveals a key part of Harry’s back-story for viewers – a reveal that, Michael says, was intentional. “That, in a way, is a gimmick,” he adds. “That was a way to reveal his back-story. Because Harry in the books, he would never tell anyone that back-story. So he had to be under oath and he had to be pressed by a lawyer to get it out. The house itself is an impressive sight. In fact, Titus notes, it’s the same home from Michael Mann’s Heat. Connelly adds that the house is a crucial part of the series, both on the page and on the screen. It’s hard to imagine Connelly agreeing to a different soundtrack, though. He comes across as a man who knows exactly what he wants – especially when it’s his baby. When Titus or a spokesperson from Amazon speaks, he looks focused, tapping his fingers, almost impatiently, keen to get back into the ring and share his thoughts. Was it hard for him to give up some of his control over the series? It was a role that suited him to a tee – “I’m very ego-driven,” he confesses – as he got the final say on most things. Changes were made to the book, though, to make Harry a contemporary detective. If not, Connelly notes, Bosch would have to be 63. That means a crucial shift to Harry’s back-story in Vietnam, which has now been altered to Afghanistan. The tunnels, as fans of the novels will know, form an integral plot point for the series. There are still moments he wishes were more like the books, though, he tells us later on. For example, the bathroom scene at the end of the first episode, when Harry has to leave an autopsy because he’s so affected by the case. It’s taken straight from the page – but with a different ending. The result is a string of episodes of a roughly similar length, trimmed to fit a deliberately broadcast-friendly format. Both the author and Amazon are clearly thinking big – but international distribution is only the start of it. It’s telling that when asked what other books he’d like to see brought to the screen, Michael doesn’t hesitate to keep the spotlight on his own work. His ambition doesn’t stop there, though, envisioning a sort of Marvel-style universe of his characters. Would that include Micky Haller, the lawyer played by Matthew McConaughey in The Lincoln Lawyer? “Anything can be negotiated!” jokes Michaell Connelly – but you wouldn’t put it past him. Michael Connelly’s confidence, you suspect, is catching. 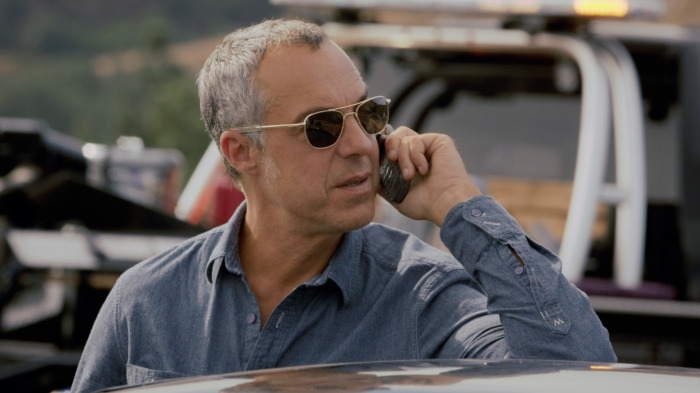 Read our spoiler-free review of Episodes 1 to 4 of Bosch here.